Yoko, I think I’m faster than you now. So, you continued running even after the Satoyama Senior Marathon. My goal is to win the next senior marathon championship. What about you? I don’t care about winning. I just like to race. You’re so confident! Oh, you’re meeting Mr. Aoki soon, right? Yes. Your son helped me get an appointment with him. 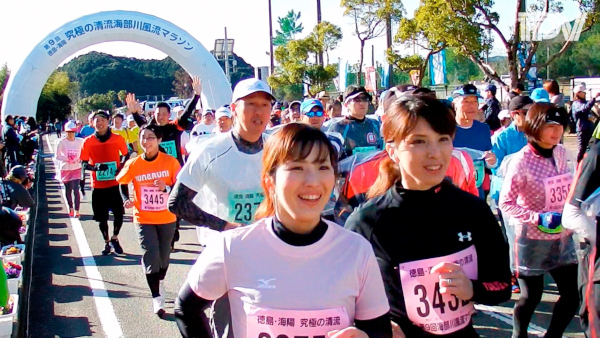 Future topics, such as whether he will run in this year’s Satoyama Senior Marathon. OK, I’ll speed up now. Can you keep up? Go! It’s not fair to speed up suddenly. But I’ll catch up! What will Yoko and Mr. Aoki talk about?